The professional achievements of our outstanding faculty qualify them as experts in their fields and enable them to guide students through the extraordinary transformations of a college education. Faculty excellence at Virginia Wesleyan University is measured in terms of both teaching and scholarship, as well as in terms of service to the campus community. 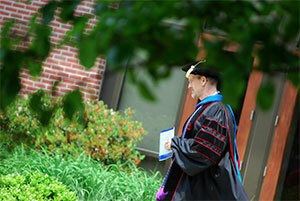 Students see faculty excellence in practice daily--you can't miss it. The University also has a series of awards that formally recognize outstanding achievements of our	faculty.